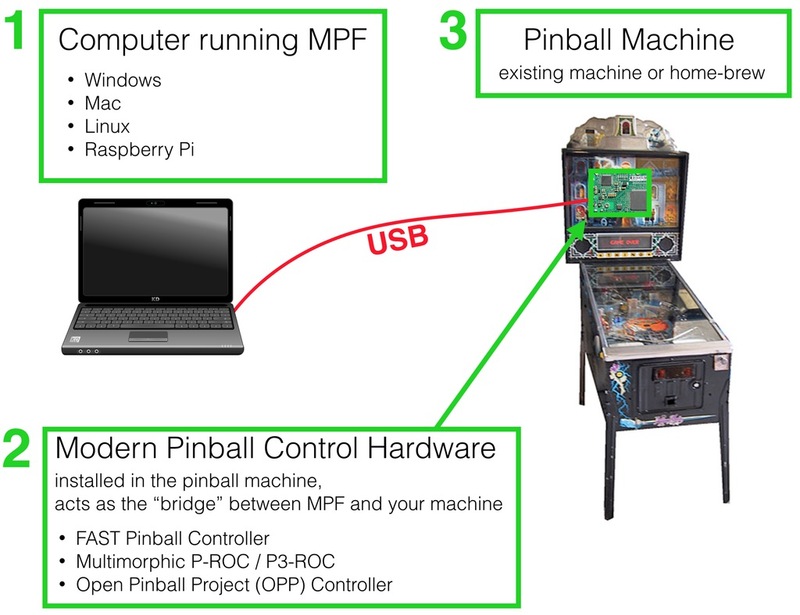 Most people develop their game on their laptop, and then when they’re done, transfer it to a smaller computer permanently installed in their pinball machine. You put that control system in your pinball machine, which can be a custom (home brew) machine or an existing machine you want to reprogram. Coordinated “shows” of actions which flash lights, fade LEDs, play sounds and video, etc. Player management, including player progress, scoring, tracking towards goals, etc. At this point MPF is a work-in-progress and not yet complete. It’s being built by pinball-loving software developers in their spare time. There’s a lot you can do with MPF today, but we also have a lot of work still to do. We’re working hard though, typically adding 20-30 updates per week! And MPF is definitely “done” enough for you to use it today.